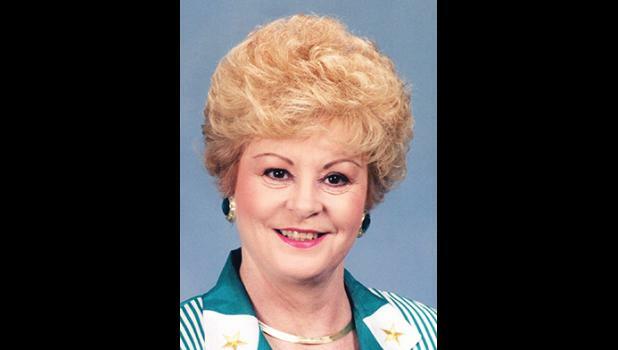 Judith Louise Alexander Montgomery, 79, wife of Victor M. Montgomery, passed away peacefully in her sleep May 26, 2018 at Manning Place in Greer, SC following a long illness. A native of Shelby, North Carolina, she was the daughter of the late Reverend Hoyle B. Alexander and Zelma Dixon Alexander. She was a graduate of Fallston High School, Fallston, North Carolina, and attended Gardner Webb University. She and her husband lived in larger cities in Georgia, Tennessee, Louisiana, Texas and Pennsylvania before moving to Greer. Her working years took her many places, beginning in Spartanburg, SC as secretary with H.J. Theiler Company; as Office and Credit manager with Professional Leasing in Knoxville, Tennessee; as Office Manager for Gertrude Gardner Real Estate in New Orleans; then as Office Manager for Stewart Title in Houston, Texas. After moving to Greer, she worked as Administrative Assistant to the Director of the South Carolina Governors School of the Arts and as Office Manager for C. Dan Joyner Real Estate in Mauldin. After she retired, she enjoyed many years as a homemaker and volunteered with Greer Community Ministries and Meals on Wheels. She and her husband of 47 years enjoyed traveling to many countries and riding motorcycles with the Gold Wing Motorcycle Club. Her greatest joy was spending time with her son, grandchildren, and her large extended family. Judy was a wonderful hostess and cook who made her home a welcoming place for family and friends. Before her illness she was an active member of the Anglican Church. She was a member of the Quota Club International in Knoxville, Tennessee, and a member of Beta Sigma Phi International in Greer, SC. She is survived by her husband; her son, Vincent Roland (Lisa), of Boiling Springs, SC; grandsons, Darion Roland and Christian Roland, of Spartanburg, SC; siblings Gay Black (William), of Woodruff, SC, Hoyle Alexander (Mary), of Elon, North Carolina, and Terri O’Tuel, of Bennettsville, SC; and many nieces, nephews, and cousins. She was preceded in death by her beloved granddaughter, Mariah Roland; her sister, Pat Wellmon; her sister-in-law Helen M. Johnson; and brother-in-law Michael O’Tuel. The family would like to thank the staff of Manning Place in Greer and Regency Hospice in Greenville for their dedication and care during her illness. A Requiem Mass will be held Saturday, June 2, 2018 at 2 p.m. at St. George Anglican Church, 427 Batesville Road, Simpsonville, SC 29681. Interment will follow in the memorial garden at the church. In lieu of flowers, memorials may be made to the church or a charity of one’s choice. The Wood Mortuary (www.thewoodmortuary.com) 300 West Poinsett Street, Greer, SC 29650 is serving the family.